There is a variety of information about the I AM Presence in which each individual needs to access this energy for the future of our existence upon Earth. I do not deny that fact as it is essential for each of us to move with the New Earth. As one who has been a student of Ascension for the past 15 years, I learned from my mentor, Dr. Joshua David Stone, about many tools, techniques, and schools of thought for the I AM Presence. He is now ascended on the Inner Plane, and I am getting shoves from him to share my expertise of his knowledge he imparted to so many of us. The I AM Presence is a collective consciousness of our Monad. It is not a physical individuality but 11 other soul personalities that work with us. The soul that is working on their ascension process is usually the one that ascends for the others. It is like this: The Creative Source of All That Is created Mother and Father God. They then did their part to create the universes and planets within each universe. We were all a collective consciousness at that time and the consciousness of God wanted to share their love so they allowed the birth process. We were in a pod called a Monad which consisted of 12 of us. We separated into individualized souls and are very interconnected. Our I AM Presence is considered to be this Monad. Then each of us reached out to other Monads which was part of collective consciousness off 144 soul personalities that we connect within this consciousness. Some of these souls you have met or will meet. Some come in and out of your life but they do assist you in the process of your spiritual journey. They may have been a teacher, a student, a supervisor, a father or mother, or in a variety of types of relationships. You may also never meet all of your other soul personalities. Out of this combination of souls we have a definition of types of relationships on the earth plane. They can be classified as Twin Rays, Twin Flames, Twin Souls, Twin Mates, Divine Expression, Soul Mates and Divine Complements. These souls are all part of our 144 extensions. The deeper the connection ~ the higher the relationship. Twin Rays are coming into activation but they are challenging to say the least. This is the soul you were fully intertwined with at the moment of our re-birth. Some can even have triple or quadruple rays. Most of the time these souls are not manifested at the same time on the earth, but in certain cases, we are all being introduced to them. One soul is usually more highly advanced than the other and there can be a difference in chronological ages. Twin Flames are becoming very common among the spiritual community. Some think Twin Flames are Twin Rays but they are not. They are mirror reflections of one another and can have the same life circumstances. One can have seven twin flames but not all are physically incarnated. I for, one, was married to a twin flame and it was an intense relationship. I also know of one another individual who is a twin flame, but we are not in a close relationship with each other. I do know of my Twin Ray energies which I will not go into detail at this time. But if you meet your Twin Ray it is a relationship that needs to be nurtured and balanced. The relationships of Twin Souls are very balanced and can be more like friends than lovers. These are the higher-evolved types of soul connections. We have many Soul Mates and Divine Complements that have assisted us in our pathway. There is more detailed information on these connections but I will go into that association at a later time. So are our Twin Rays and Twin Flames parts of our Monad? Yes, on the Twin Rays and possibly, no, on the Twin Flames. I believe this is a very personal experience. In any case they are the most intense, loving connection that a soul can encounter and throw you off your feet if you are not balanced. So how do we stay balanced in this time of Earth changes? There are many techniques I could share with you but I want to elaborate on the I AM Presence. As our spiritual journey moves up into the higher frequencies, connection with our I AM is imperative. This is the space that we need to fully embrace. This embracement occurs within our Thymus Chakra, which is considered the 8th chakra, or Seat of the Soul. It is also the place where the Higher Self will integrate once a person is fully ready to receive this activation in the physical vehicle. In order for each of us to ascend physically into the fifth dimensional frequency, it is imperative for us to integrate our I AM Presence. This cannot be done until the lower chakras have been cleared from karmic debits, traumas, and experiences of a lower form of energy. Sometimes it can be done automatically but in truth, utilizing various techniques of energy attunements, meditations, healing from a qualified professional will help release and activate these centers. Once an individual integrates the higher levels for the transition into the 5th dimension, they will have fully activated 22 chakras which blend with the lower physical chakras to create the Light Body. 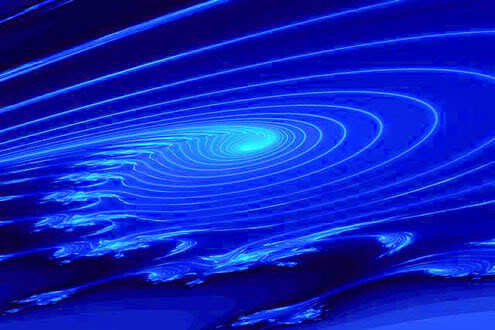 This is the process that each individual is feeling within the ascension movement. The changes of moods, feelings, and physical changes within the body as has been explained by many individuals. Yes, it is happening automatically, but until one fully acknowledges their I AM, they will be unable to let go of the fears, lower thoughts, and judgments of the self. At the same time, each of us are going through initiation processes to activate the higher chakras and I AM. We may be consciously aware of these changes or activating them through spiritual studies. For me my activation process was during a time when it was not talked about very freely. For me to do the work I am doing consciously, I endured many challenges. In the last five years I was told by Spirit that my life would never be my own and I can attest to that statement. 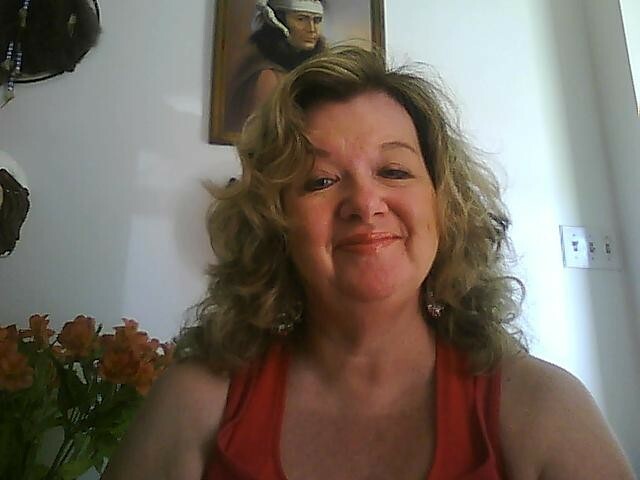 My I AM Presence was activated about six years ago when I was living in a shared house that was full of dark energies and I had to constantly work on raising my vibrations. It happened one day when I was at the beach for my birthday. I had started channeling the Heart of God along with the Will of God. It was at that time my pathway became more enlightened and I was given the distinct honor to be integrated with Mother and Father God in order to channel their energies. The integration process took two years and I almost left the planet several times. It is a blessing that I can impart these energies to others. It is my gift to the world. Not all need to go the depth that I have done but I do feel each individual that wants to move when the earth changes in the next couple of years need to fully activate the higher chakras. If you do not, then you will be stuck in the Karmic Wheel of Rebirth, fighting duality on the 4th Dimension as we are doing presently, struggling with finances, and not receiving the love that we all richly deserve. The Earth is changing drastically and the 4th dimension will be riddled with extreme lower energies. In future posts I will share about the energies of Lemuria and the Golden Cites that are going to be built around the world for us to experience this light fully within our physical vehicles. We still have quite away to go but it is a blessing to share with each of you my experiences and hopefully you can avoid some of the pitfalls that can occur. And Accept Our Divine Heritage Together. Namaste for a wonderful journey embracing your Divine Heritage. This year the Solstice has been laced with so many types of frequencies that it truly is going to assist each of us to move into the higher realms with periods of intensity and softness at the same time. It is going to be very essential for each of us to individually do our part as we move forward within our pathways. Yesterday I drove about one hour away to the Southern New Jersey Shoreline to celebrate the Solstice during Sunrise for myself individually. This is something that I like to do periodically as I feel it helps to balance and release any emotions or thoughts that are plaguing within my system. The wind running through my air as I stand in front of the Goddess of the Sea is so representative of healing myself while working with the elements of Father Sky, Mother Earth, Grandmother Moon, and Grandfather sun integrating the water, air, fire, and earth at the same time. The water was very calm but very cold. I feel that is a very interesting combination as cold would represent the essence of fear but yet there was patience. The temperature is so representative of the effects that are happening on our planet. Everyone is feeling it; even the ones that do not realize what is occurring presently. Each of us is being challenged in many different ways to experience the integration of the Light within our physical vehicles. Calmness represents to me patience and the coldness represents resistance. If one does not take the time for themselves, how can we be patient within. And the direct action of that result would be the action of creating life circumstances that isolate us from truly acknowledging our Oneness and Creative Energies. These two little actions are so very important because until we fully allow the flame of Unity to be within, then we cannot experience warmth and compassion. This solstice is very representative of the changing energies. This is occurring not only on a planetary level but within each of us. We must take the time to balance ourselves. We have a full moon coming up this week that is a partial Eclipse. I am not well versed in astrology but very attuned to the energies; I can feel it arising within. Which also means we have the power to fully activate our manifestation abilities beyond our normal comprehension. If we do not tap into our higher minds (from our I AM Presence), then the coldness will result and impatience will be the rule of the day. Use your times of quiet, listening to music, sitting in your yard in the early morning, breathing beautiful light frequencies in the midnight skies, meditating and feeling the silence, and the peace within your heart. Please take these moments and cherish them. They will be the start of each of us being able to help heal Mother Earth. If we do not take care of ourselves, we cannot take care of her. Do whatever you feel is right within your heart to help yourself, and then send it to Gaia’s core of being. You will thank yourself and she will return the thanks for the gifts we are bestowing upon her. Last evening on June 21st I conducted a Solstice Ceremony via teleconference for the Clarion Light Beings 911 & Beyond meditation that I do weekly. The Heart of God (Divine Feminine Aspect) showed us how we need to acquire the Cosmic Energies to help our Earth so that she does not endure any additional illness and dis-ease. 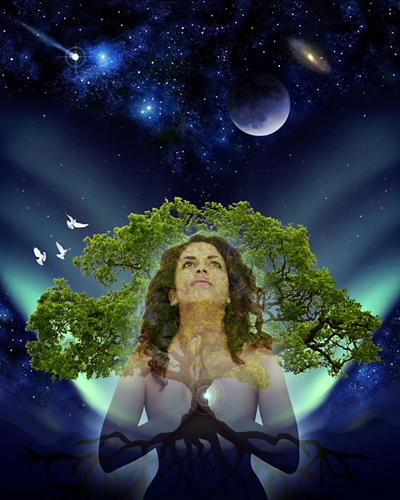 Gaia then shared with us her home within the Core of the Earth. The Creative Source of Consciousness gave each person that listens to this recording a Divine Dispensation for activation of their desires and manifestation for the next seven days which will take us into Sunday, June 27th, 2010. Please listen and experience for yourself the depth of this beauty that is being bestowed upon us. I will also be doing another call on June 27th for the Festival of Humanity and the Full Moon Energies. Details are available on my website under the same page the audio is posted for the call of the Solstice. 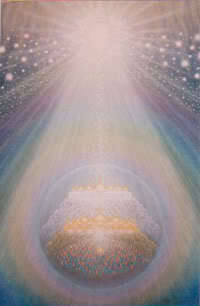 For background information please see info on the Clarion Light Beings of 911 & Beyond. To listen Solstice Ceremony – Heart of God & Gaia Integrate Cosmic Energies at the top of the page. If you are interested in a download, please contact Christine at meleriessee@lifestationearth.com. Blessings for a wonderful journey this summer. This journey that we are all on, individually and collectively, is sometimes very confusing and mind blowing. There are so many tools available from different people and perspectives that if an individual is not fully clear with their own intuitive self it can be so very challenging of where to turn. My experience has been to live in each moment as that is what Spirit teachings us. I work very closely with “Master Babaji” who has been the longest living Avatar on the Earth and he promotes silence within. Without silence we cannot really get to the place of our innerself and higher self. This also can be very challenging in our world of craziness and now that we are fully into the fourth dimensional world of duality and change, well it is even more overwhelming for many of us. My work in the field of ascension was my savior in grace. I have always been connected to the world of Spirit even when I did not know that I was doing so. Working with the Ascended Masters was just an easy pathway for me to take and so very comforting. It helped me to realize that before I embodied into this life that I chose this pathway and I would become the “Teacher of the Teachers”. It took me a very long time to embrace this gift that has been given to me. It was not without the hard work that I acquired the ability to feel this completely. Many years ago while doing my first spiritual group with some friends, there was a woman who channeled a being called “Chico” who happened to be the energy of Gandhi. He was absolutely wonderful. He looked at me and said these words, “You are like a Pioneer with a machete, paving the way for others.” For a long time I could not fathom what he was saying until a few years ago when I realized that my pathway had been strewn with great challenges, changes in lifestyle, almost poverty and then arising out of the debris to find the abundance was right in front of me. It is a continual journey but I believe my work is paving the way for others. I would like to share some teachings that helped me to get to this moment in time. Many individuals, including light workers, are struggling with their fears and not arising to their own potentiality. Some of channeling energies that say they are masters but in truth, they are being deceived. This is due to the lower egos still being intact. You see, we need our egos but only the Higher Egos which comes in with the Higher Mind, Higher Self, and I Am Presence. It is a pathway to get to the I AM and many may be trying to jump a few steps to get there. When an individual embraces their Higher Mind and Ego, they are embracing the essence of whom they were in the beginning. They bring forth the Light and Teachings and are empowered within, but they do not boast upon it. It is their truth and acceptance of their being. They are humble and share their humility with all of humanity. Gandhi is a perfect example along with the Dalai Lama and so many others that have walked this path before us. We came here to do a job, a job for our Spirit, and it is time for us to receive the gifts being bestowed upon us. There are several ways in which an individual can arise to the occasion of healing through their inner core. It is essential in order to embrace their fifth dimensional body. Lower egos will not survive in a world full of bliss and joy. The first thing I suggest is to find a shamanic healer who can release negative thought forms, elementals, and attachments from the energy fields. Included in this work should be deep chakra balancing in which a facilitator would go deep within the chakras to assist in the clearing that needs to occur. It is amazing to see the past lives that can be released out of the lower chakras. Utilizing decrees from some of the great masters is essential at this time for each of us; St Germain, Djwhal Kuhl, Alice Bailey, and so many others. Some of us who have been on this path for quite some time utilized these teachings from the beginning. I, for one, am getting back to utilizing them again. Attunement meditations go hand-in-hand with this work and will help an individual to fully accelerate and transmute the lower energies. Working with St. Germain and the Violet Flame is an amazing journey. I will share the essence of that energy at a later time. Learning to spin your chakras will assist in transforming the debris especially doing the process in the morning before you start your day. In addition an individual should learn about the Rays of God both from Planetary and Cosmic levels as the rays do change depending upon the level of awareness you are working with. The Rays of God are spectrums of light and many individuals utilizing color therapy are tapping into these spectrums of color in their work. I also suggest than each individual find their own practice. I have always looked to others to see how they create elements in their life and embellish upon it. As one works with these energies, they will find that their intuitive gifts become stronger. This is because we are supposed to be working with these energies to change our body composition. Lastly, I need to share with each of you the latest tool I have acquired through Bryan DeFlores. He is an amazing channel of the Ashtar Command and the Ascended Masters (which I feel so at home with), a musician, and artist. He has put together Accelerator Templates for physical, emotional, mental, and spiritual healing. They are absolutely amazing and depending upon your level of consciousness you will receive the connection to the energies by looking at the templates. His website is http://www.bryandeflores.com. I believe these templates are the wave of each of us healing so deeply. Bryan is also doing a series of tele-calls this summer to assist individuals to raise their vibrations. Just be prepared for an attunement like you never felt before. As one that is used to living in the higher vibrations, he truly assisted me with integrating my own empowerment very recently and I am eternally grateful to my I AM Presence in assisting me in my core level of healing. I would like to share that I am available for Chakra Balancing, and deep healing work along with providing attunements in the next several months. I am co-hosting with a friend, Angeliki Gael Davis to provide a weekly attunement meditation on the energies and activations for each week. More information will be forthcoming. I also have a one-time session called “Diamond Heart Therapy” in which an individual has the chakras balanced and aligned, with pure essence diamonds attuned into each chakra and joints of the body. The client is then able to spin these diamonds on a daily basis which will help them attune themselves to their highest presence. This was brought forth to me by the Lady Masters in 1999 and I hope you will take advantage of it. A 20% discount will be offered when mentioning this blog. More information is listed on my Services page: http://www.lifestationearth.com/2.html. May we all heal together to create Heaven on Earth. We are in a time of extreme change that is going to catapult us into areas that we dared not tread previously. The tremendous amount of energies upon the planet presently are allowing us to feel the full potential of the Creation of Oneness. We have just gone through the Wesak energies as of May 27th but that is only our beginning. Wesak always changes each of us as we move forward with Lord Buddha, Lord Maitreya, and Sanat Kumara. They are overlighting our energies and walking along side of us as we share our knowledge and expression of whom we are to others. How does Wesak change us? Well, the energies of this full moon are so intense that we never know how deeply we will change. We find in our daily lives that we look at something completely different than before, or we make a decision that we thought was solid and completely change it for the betterment of our soul. We never know how much Wesak changes our innermost thoughts and feelings for about three months; when at that time, you can look back and say, “Wow, did I change so completely”. It is a wonderful experience to know that we are moving in a positive direction. Until we get to the point with the three-month time frame, we will go through many emotions and reflections within ourselves that possibly are uncomfortable. We are in a time when it is imperative to full accept our new awareness and frequency of light that is enfolding in each moment. This is especially true of the moments that are uncomfortable. The power of connecting to our highest presence is the ability to know ourselves more completely than we have before. I always think that my summers are going to be full of joyfulness, light, and laughter and since I have been participating in the Wesak energies for the past 11 years, well these are always my most powerful times to heal so deeply. This year is even more powerful with the activations, attunements, and acceptance of whom we are and how we can best proceed. It is a time for us to embrace the teachings that come to us even if we only use them for a short while. Presently I am feeling that the teachings of the great Masters of St Germain, Djwhal Kuhl, Alice Bailey, and so many others are the true essence of what we need to acknowledge. I believe we need to get back to these books that opened up our hearts in the beginning of our pathways as we prepare to go into the Golden Era. It is our divinity to do so and it is the power within us to overcome the 3rd and 4th dimensional trials to aspire fully into the 5th dimensional world of Love and Joy. I would like to include a Native Woman named “No Eyes” that was introduced by Mary Summer Rain in her books from the 80’s. No Eyes saved my life when I needed to get down into the dirt and gritty of my soul. Her teachings are amazing and I suggest to those that truly want to get into your core issues, No Eyes is the master to work with, but prepared to be fully pushed in ways that you never thought were possible. So enjoy the ride whether it is full of fun and laughter or a few tears because it can change in a moment’s notice. You may get a glimpse of your I Am Presence fully activated and be able to fully accept the truth and knowledge of your inner self. If something suddenly looms up in front of you that seems terrifying, say “Hold on just a minute, you are outside of my world,” and then call instantly to your “Mighty I AM Presence” and the Ascended Master to dissolve and consume that thing, cause, effect and record, no mater where it comes from. You will see how quickly you will be absolutely free from any touch of it; and in this firmness you are gaining, you will find the same as the Messenger does, your one Call will do the work.